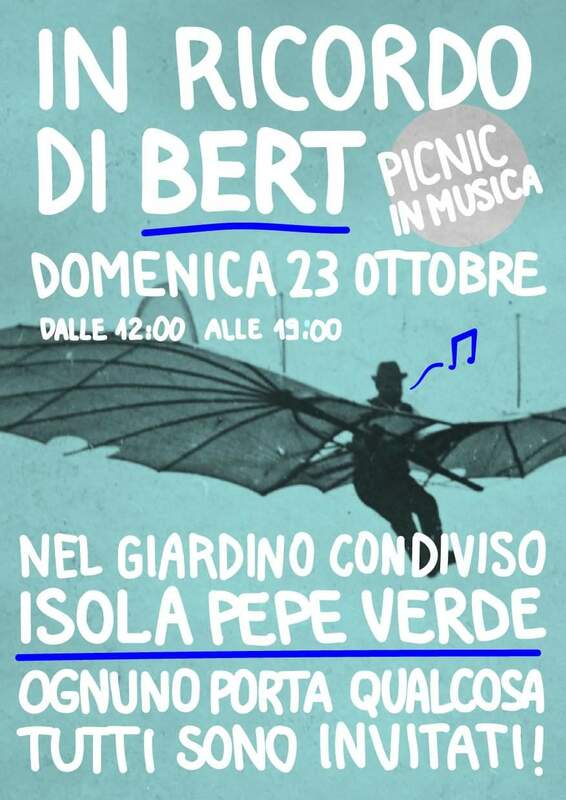 for a picnic with music in memory of Bert. Speech by Enrico Lunghi, director of Mudam Luxembourg – Musée d’Art Moderne Grand-Duc Jean, during Bert’s farewell ceremony. Bert has taught me a lot. He liked to share his knowledge, to describe his intentions and explain his approach, and he did it with patient instruction and an admirable clarity. It’s no coincidence that for a part of his life he was a teacher, and as a result, he never stopped giving classes and lectures, participating in philosophical meetings and seminars and organizing workshops – the workshop at Casino Luxembourg, for example, that he started with Paul di Felice, owes much to him. One of the first things that Bert taught me was to always have a sense of humor. It helps you to live, especially in sad and difficult moments like this. When I met him for the first time, at the Beim Engel gallery, he exhibited – among other things – lead paintings, because, he said, Luxembourgers, with regard to art, does not like to appear frivolous and thus buy “heavy paintings ” to give them the sensation to have hung something substantial on the wall. For the Venice Biennale in 1995, he did nothing less than to build a real-fake Luxembourg pavilion and make Marcel Duchamp rap, as if to fill two large voids in the history of the lagoon: Marcel Duchamp – who Bert admired a lot – was never invited, and only the countries with the biggest military budgets were authorized to build pavilions in the Gardens. And for Manifesta 2 in 1998, naming himself sub-curator, in a tribute to the Subcomondante Marcos, he organized a bus trip accompanied by African music to visit the birthplace of Karl Marx, the author of the Manifesto in Trier, already then he was scoffing at the capitalist tendencies of the art world. Bert believed that art always had to deal with a context – whether it is historical, political, social, cultural or philosophical. He never did the same exhibition twice, he never thought of art as entertainment: making art was for him a way of being in the world, an attitude that respects life, full of nobility and dignity. He kept this attitude with great consistency throughout his life, along with his partner Mariette who, among other things, has accompanied him and stimulated him in all his work. Bert has also taught me what is rigor, without me ever coming to use it as consistently as he did. As soon as he arrived in a new location, or when he had to do a work in a place that he didn’t know, he would do research and read a lot, he tried to understand what was specific to that place, in that context, and especially what motivated the people who lived in the area. He was invited to the Skulptur.Projekte in Münster in 1997, after he did Potemkin Lock in Venice, that had considerable success over time – and here I permit myself to quote a major international artist, Nedko Solakov, who has recently written: “The more time passes, the more Potemkin Lock remains one of the best ever projects in Venice.” Invited to Münster then, he said that in such a flat city where people often go by bicycle, his sculpture must absolutely not obstruct the cyclists’ path: the Philosophical Platform allowed them to get some height and encouraged passersby to appropriate it, for example dancing the tango on Saturday evenings. With his works Bert touched on the right points: for the Casino Luxembourg, he had imagined the Domaine de Marcel et Joseph, in which not only two Indian blackbirds had to perform a poetic and uncontrollable dialogue between Marcel Duchamp and Joseph Beuys, but where visitors could also relax in an environment of tropical sounds. It is so that an in-depth and first-hand knowledge of the history of art is as cruelly lacking in Luxembourg as is the indolence of the tropics. In Strasbourg, in the Republic Square, he built an ascending spiral that leads to a banana tree, of course, only the wicked will see an allusion to our Western democracies that look increasingly more like banana republics. I could cite many other works, temporary and permanent, realized in Volterra, Danzig, Gwangju, Busan, Taipei and elsewhere but I choose just one last work that concluded its path close to home: the Safe & Sorry European Pavilion, on the Place de l’Europe in Luxembourg, originally created for Brussels. Here too we find the humor, irony, and the sense of context and history specific to Bert. It resonates with even more force today where Europe is weaker than ever. While the United States, the first global military power, have a Pentagon from which they try to control all the wars of the planet, Bert Theis proposes one for Europe on the scale of its impotence: irregular, in glass, where security is an illusion and to defend itself it can only say “sorry”. Finally, a third thing that Bert has taught me is to never lose heart. He was a fighter all his life. Because injustice has always outraged him. Already in his youth, with the Ligue communiste révolutionnaire, he dreamt of change, but this violent battlefield – with power rather than justice as final objective – was not for him. It’s for this reason that he chose art. Bert’s battle was pacific, intelligent, devoted to beauty and to the encountering of people. For him, art was a collective adventure. 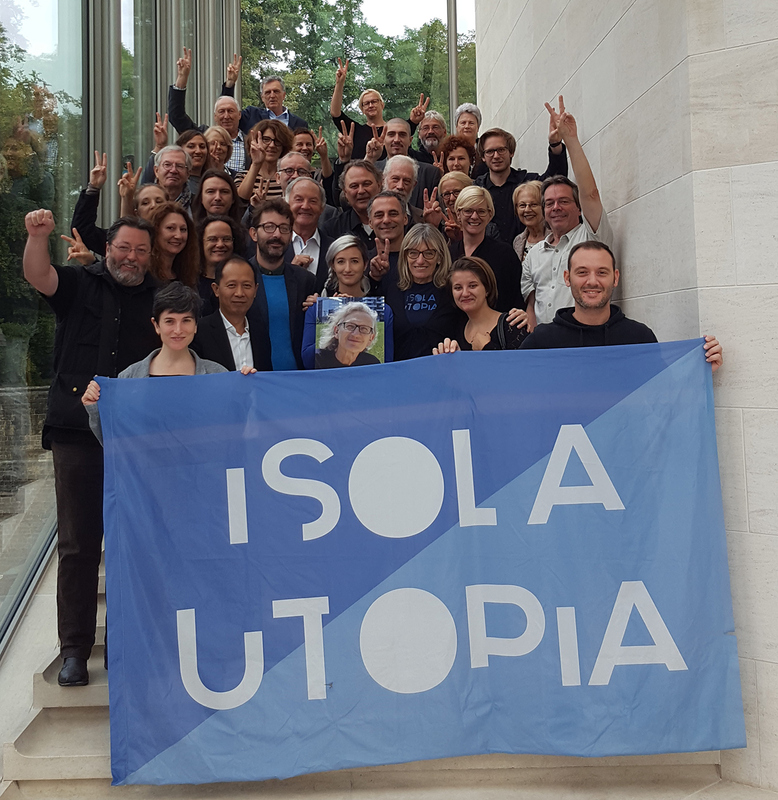 His great project, Isola Art Center – he and Mariette lived it intensely and created an example of a contemporary utopia that inspired many artists around the world. Tirelessly, Bert fought against the expulsion of the inhabitants of a neighborhood that was transformed into a megalomaniac and destructive urban project. Together with Mariette and a group of artists, philosophers, architects, and sociologists, he organized exhibitions, meetings, political actions and celebrations: they didn’t win the battle against the steamroller of big capital, but they created a joyful, contemporary utopia that gave strength and hope to the people who were gradually losing all ties with their original neighborhood. This battle, like many others, Bert conducted in a way that deserves respect: never putting himself in first place, without ulterior motives, without flinching, because when we know a cause is just, it is seen through to the very end. In the end, the only battle that he truly lost was the one against his illness: a battle fought in silence, with dignity and until the last minute. Bert was a sincere and wonderful human being. To have known him, to have worked with him, and to have had him as a friend were true and real gifts in my life. He was one of those people, who when you meet them make you feel stronger, they make you believe in their utopias and they make you feel a little bit less alone. Although now, while trying to appeal to my sense of humor, to my entirely relative rigor, and the little bit of courage that I have left, I feel nothing other than an immense sadness in his absence. We miss you terribly Bert!